17-4 PH Stainless Steel (SAE type 630 stainless steel), is the martensitic precipitation-hardened stainless steel casting grade. 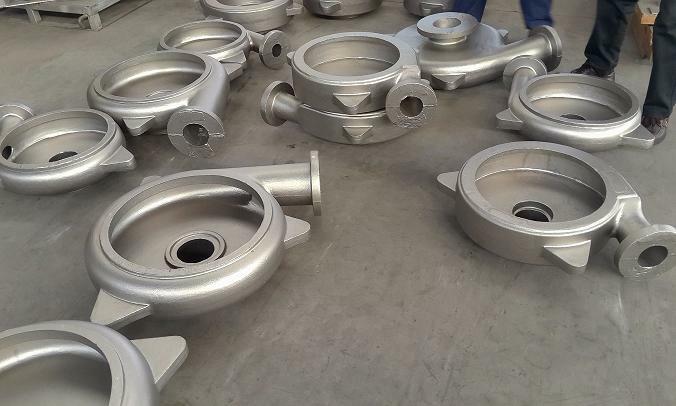 Typical usage of 17-4 stainless steel castings is where high strength and a modest level of corrosion resistance is required. Strength and toughness desired can be manipulated by temperate range in the heat treatment process. Best Stainless offers high quality standards including: UNS S17400, AMS 5643, ASTM A564, and ASTM A693 Grade 630. This type of stainless steel casting can harden further by aging at temperatures ranging between 480-620 degrees Centigrade. The combination of the alloy’s superior properties allows it to increase product reliability while making fabrication simple and cost effective. Type 17-4 PH stainless steel has applications in industries like paper, petrochemical, aerospace and food processing. It is widely used in various general metalwork applications. 17-4 PH Stainless Steel Casting can withstand corrosive attacks better than any of the standard hardenable stainless steel castings and is comparable to Alloy 304 in most media. It is corrosion resistant in some chemical, petroleum, paper, dairy and food processing industries (equivalent to 304L grade). First, Oil is usually obtained at great depths, below sea level. Such depths are associated with high pressure. The high strength of type 17-4 PH stainless steel castings makes it a great section for piping system at such depths. Second, Type 17-4 PH stainless steel casting is resistant to corrosion both on and offshore. Its resistance to corrosive media like hydrogen sulfide gas, carbon dioxide and low pH levels in oil prospecting conditions makes it perfect choice for oil & gas industry. In case you work in the food & beverage industry, then you should know that most of the equipments that you use are made from stainless steel. The type 17-4 PH stainless steel castings are used in equipment for the processing and manufacture of foods and beverages. 17-4 stainless steel castings have a good surface condition and great finish makes it an ideal choice. The smooth surface and high chromium content make it less prone to corrosion and makes it easy to clean as hygiene is an integral element of food and beverage manufacture. Of course, 17-4 PH stainless steel casting can also be used for other industries, such as Pulp and Paper Industries, Marine Vessels, ect. CFS Foundry can help our customers to custom any type of stainless steel casting. Our advanced stainless steel casting process can produce stainless steel castings in small to medium types. Any source for stainless steel foundry in China, pls email cathy.sales02@gmail.com directly.